1. Choose the products you’d like and “ADD TO CART”. 2. 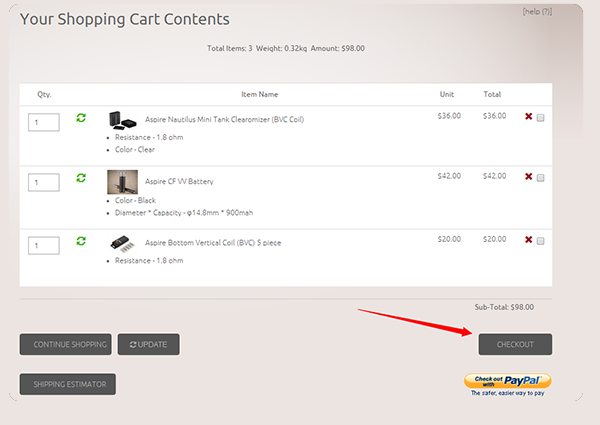 After finishing adding the products, click “Cart” to go into the cart. 3. 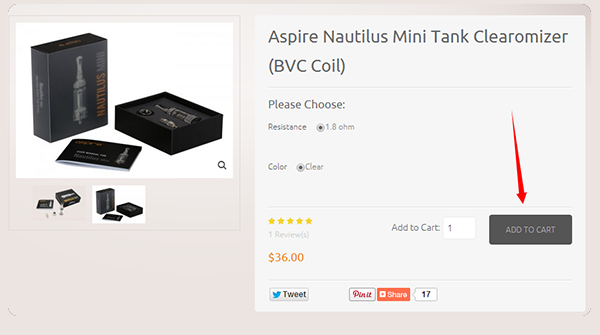 Check the products you have added in cart. Click “Checkout” to start the order handling process. 4. Step 1- Delivery information: Confirm your shipping information and choose the prompt shipping way, then click “Continue”. 5. 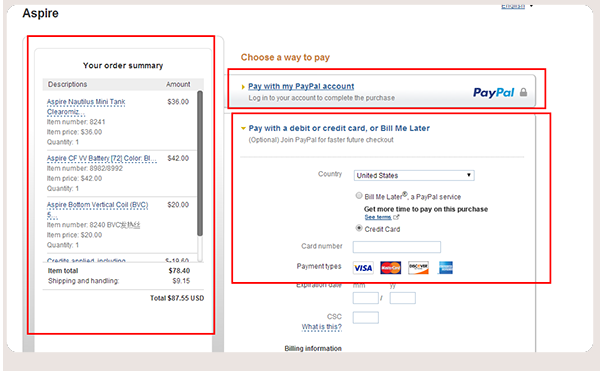 Step 2 - Payment Information: Confirm your order information. 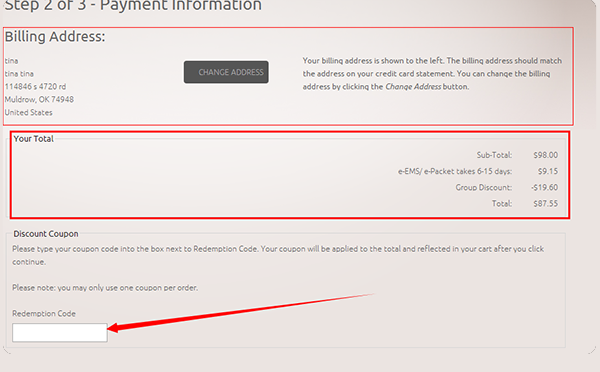 If you have promo code, input the code in “Redemption Code” for discount, then click “Continue” to next step. 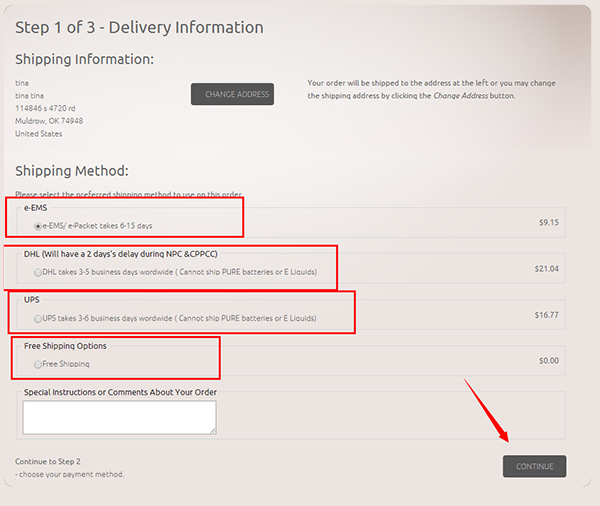 6.Step 3 - Order Confirmation: Click “Edit” to modify the wrong information. 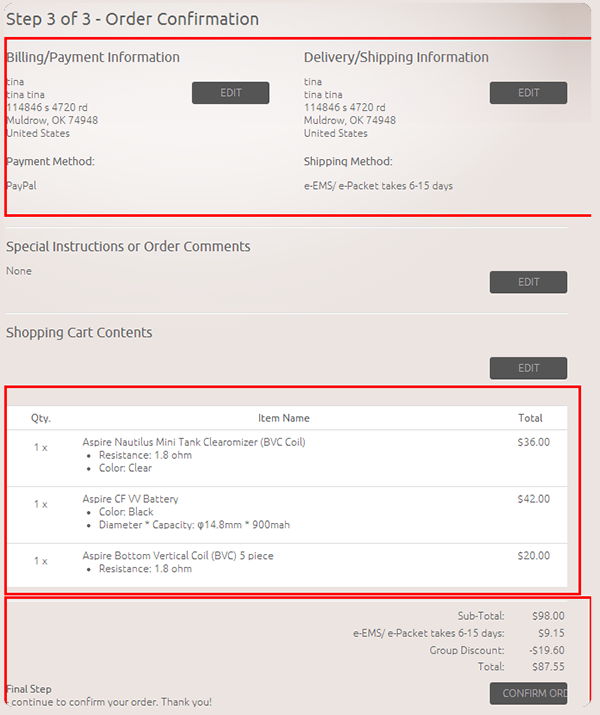 Click “Confirm order” after confirming the order information. 7. Finish the payment via Paypal.